Professor Cynthia Ho is the Director of the Intellectual Property Program at Loyola University Chicago. She teaches courses in Intellectual Property, Patent Law, Comparative Patent Law, Policy and Health Care, as well as Civil Procedure. Professor Ho has been a faculty member at Loyola since 1997. In addition, she taught at Emory School of Law during Spring 2005. Professor Ho strives to foster improved understanding of the law through a variety of means, including traditional publications, as well as providing input to government organizations. She has written articles on various aspects of intellectual property law that have appeared in major law reviews, and been cited in several intellectual property and patent law case books as well as in international reports. She has also authored several interactive lessons in patent law for the Center for Computer Assisted Legal Instruction (CALI), which are available to law students nationwide. She has made particular contributions in the area of international intellectual property, as well as patent issues involving biotechnology or health policy. For example, she has served as a consultant to the United Nations Convention on Biological Diversity (CBD) on an issue at the interface of international patent law and biotechnology and has provided consultation to the National Institutes of Health (NIH). In addition, she has authored articles on international intellectual property issues in biotechnology for an Encyclopedia on Ethical, Legal and Policy Issues in Biotechnology. She provided input, together with Visiting Professor Matthew Herder, to the South African government regarding proposed regulations that mirror the prop rights (PDF). She also wrote an accessible book on the impact of patent and related rights on access to medicine in the global arena to help scholars and students from a variety of disciplines, as well as policy makers. 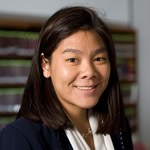 In addition to her teaching and scholarship, Professor Ho is involved in mentoring students as they seek educational and employment opportunities in intellectual property law. For example, she works with the Career Resources office to prepare students for the Loyola Patent Interview Program, the largest national interview program for patent jobs. She is also a member of the executive board of the Chicago Intellectual Property Alliance (CIPA), an organization of law firms, corporations and law schools that provides educational opportunities, including "IP Day," which features prominent speakers from the federal government, judiciary, and even international agencies. In addition, Professor Ho co-founded the Chicago Intellectual Property Colloquium, which exposes a select group of students from Loyola and Chicago-Kent to leading academic experts and prominent practitioners in the field. More information on this program is available at www.ipchicago.com. Prior to joining the faculty at Loyola, Professor Ho was an associate at Fish & Neave (now the Fish & Neave IP group of Ropes & Gray). She handled a variety of matters including litigating high-technology cases involving patents, trade secrets and unfair competition. In addition, as a member of the Patent Bar, she drafted and prosecuted patent applications both domestically and internationally involving medical, immunological and mechanical inventions.